Amazon, I've been your customer for a long time. Do you not know my name? 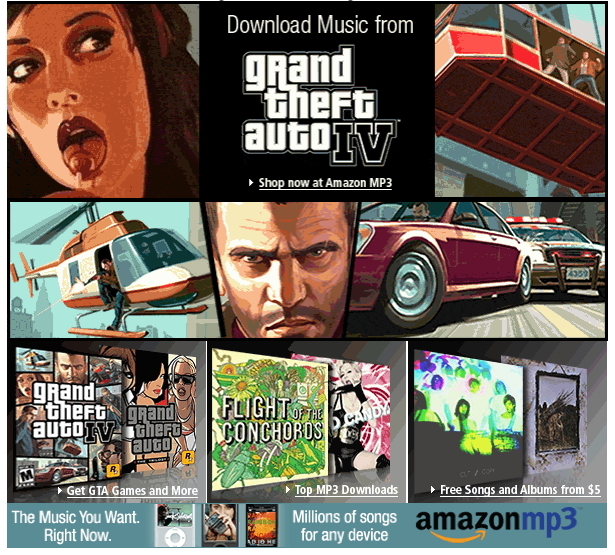 And while we've got an open dialogue going, no -- I'm not interested in GTA IV MP3s. I find it highly suspect that you think I would be, considering the only album I ever purchased from you is Soko's Two, which is mostly new age fusion crap that I find very soothing and not conducive to boosting a Ferrari. Oh. Well, I guess that changes everything. Here's one I just got. We've noticed that customers who have purchased or rated Buffy the Vampire Slayer - The Complete Fourth Season (Slim Set) or other films in the Fox TV > General category have also purchased Garfield: A Cat and His Nerd on DVD. For this reason, you might like to know that Garfield: A Cat and His Nerd will be released on May 13, 2008. You can pre-order yours at a savings of $1.99 by following the link below. Buffy, Garfield - they're practically the same.